I won’t be doing the regularly scheduled Thursday night/Friday morning post this week. For those of you not in the US, today is the national holiday Thanksgiving for us. To those of you in the US, happy Thanksgiving! 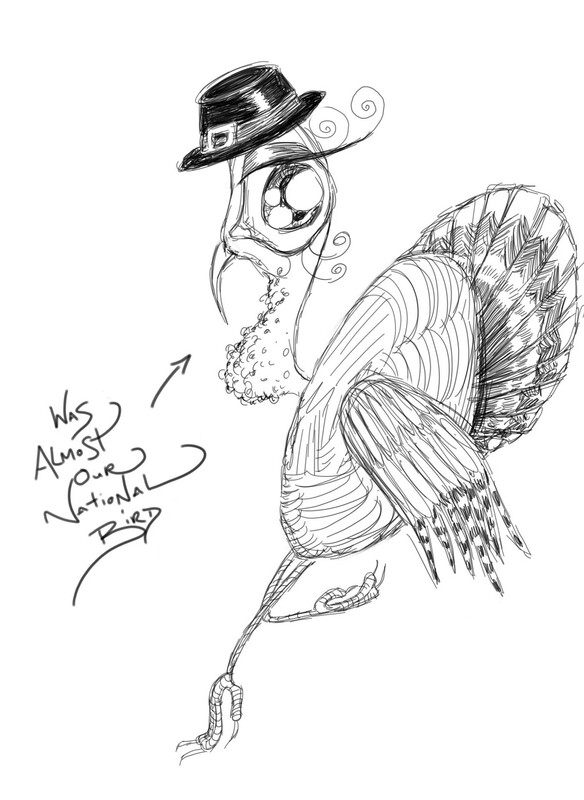 To celebrate, please enjoy this drawing of a turkey. The turkey was almost the national bird of the US, but we ate it and chose the eagle instead.